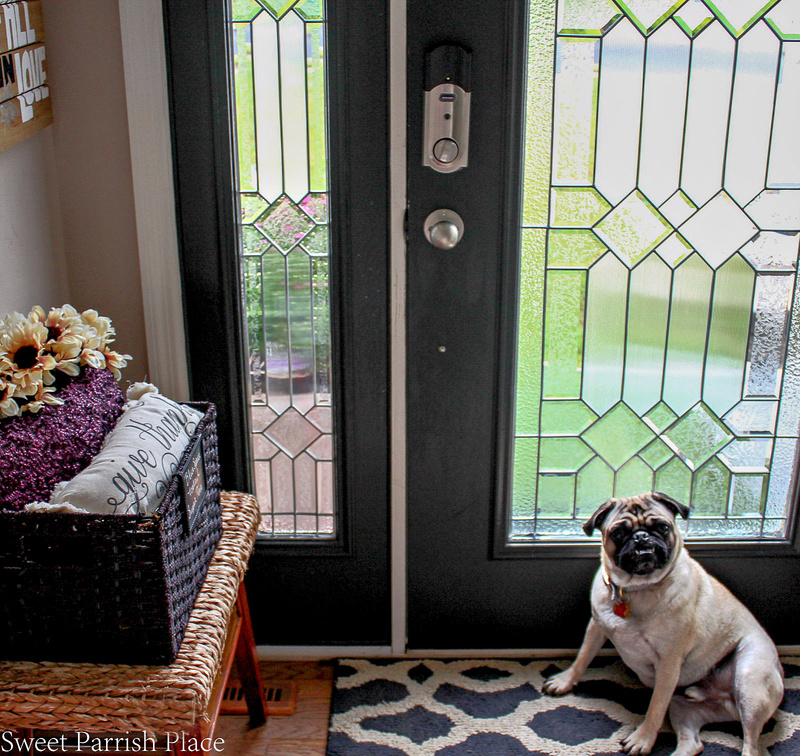 We recently gave our front door an update with a smart lock, and we are not sad about it! Hey friends! Don’t you just love it when you find something that makes your life easier? And not just easier for you, but for the whole entire family. Well, that happened very recently for us, and I just had to share! 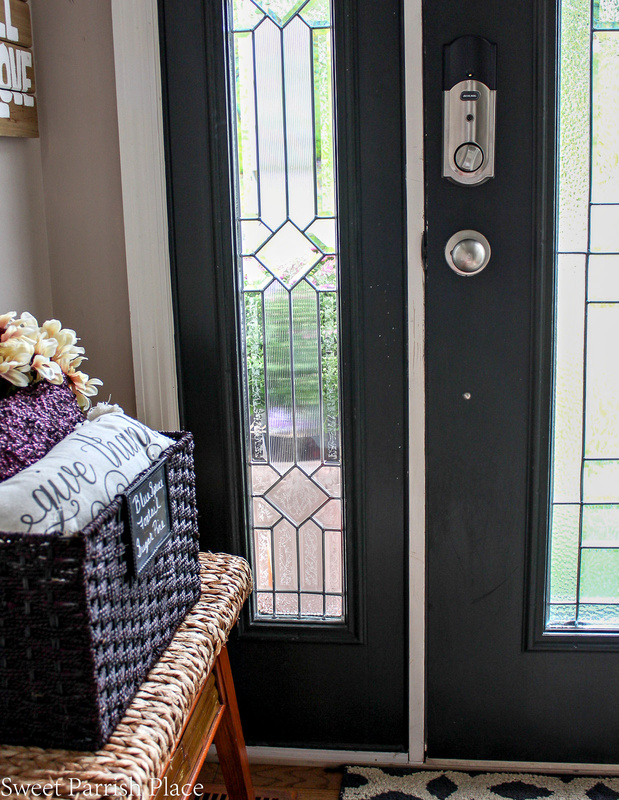 We gave our front door a little update with a new smart lock, and we are here today to sing its praises, because we are in love! Our youngest son, who is the only one left living at home with us, has reached an age where he no longer needs to go to after school care, and is now able to ride the bus home and wait at the house for me to get home from work. He arrives home about an hour before I do, and we made the decision that he is capable of doing this. He was so excited when school began to start riding the bus, and that he is now old enough to be at home alone for brief periods of time. 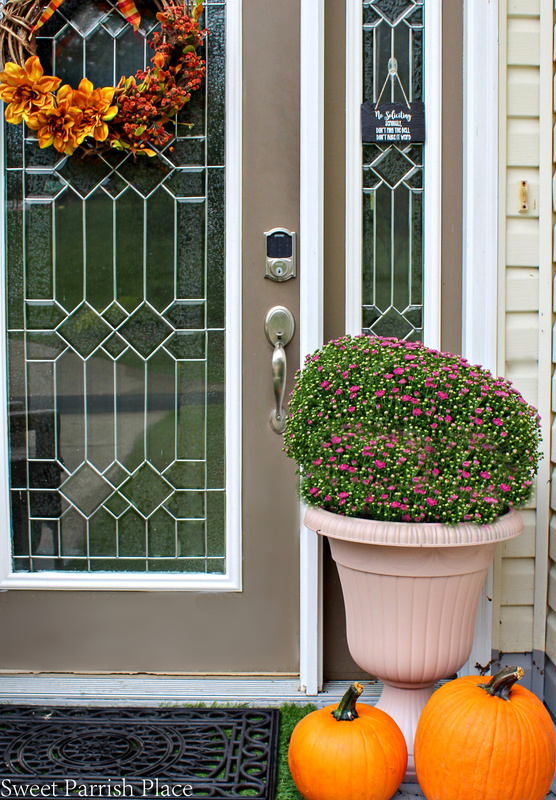 In light of this, we thought it was perfect timing to give our front door a little update by installing a smart lock. With school back in session and everyone on crazy different schedules, it can be easy to forget the keys or for a kid his age to misplace them. So we decided to switch over to a smart lock. 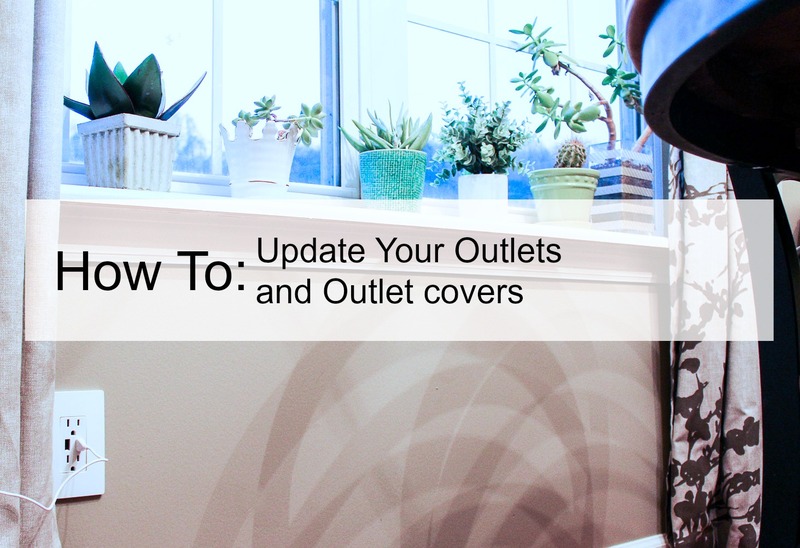 To narrow down our smart lock choices we started here. 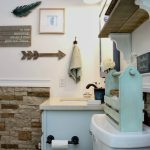 We thought this would also work out great for our two oldest children who are now out of the home. 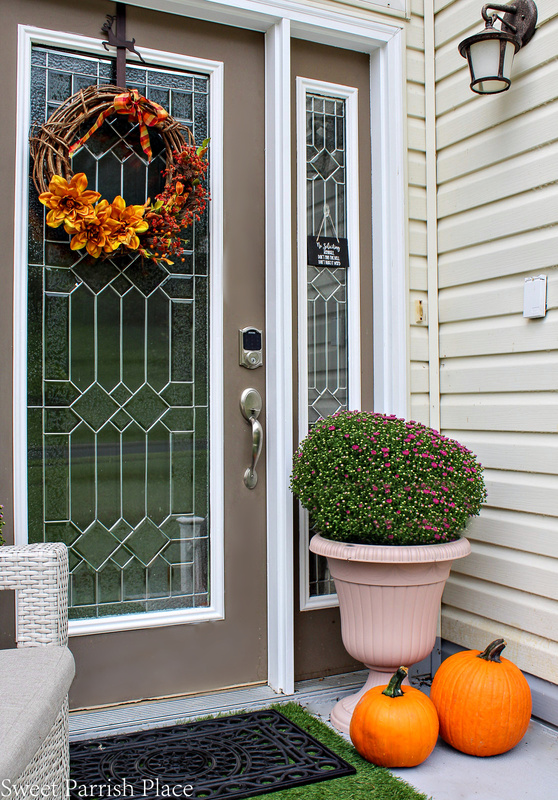 With one being at West Virginia University about 45 minutes away, and the other having relocated to Miami, we thought it would be great for them to not have to carry around keys to our home anymore, and to be able to just punch in a code to enter our home. 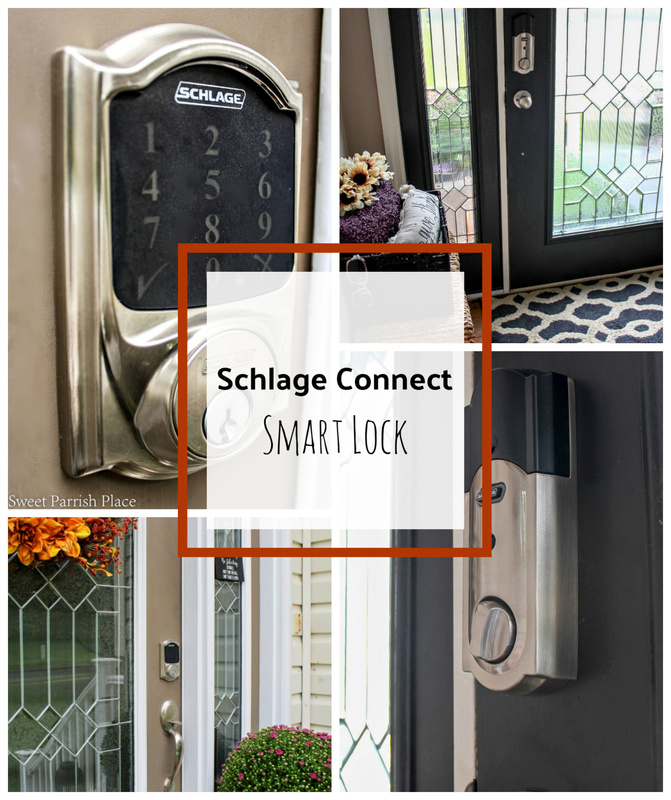 The smart lock we ended up choosing is the Schlage Connect Touchscreen Deadbolt. We chose this particular smart lock because it has a touch pad and because it also does have a key that can be used in case of emergency. We weren’t quite ready to give up a key altogether, and both of us felt like just in case there was a problem with the touch pad or our phones in the future, we would still be able to use the key to open the door. This particular lock works with Amazon Alexa in addition to pairing with most home automation and alarm systems. In case you are entering in the dark, all you have to do is touch the pad, and the key pad lights up. I took a picture of it lit up so you can see what that looks like. 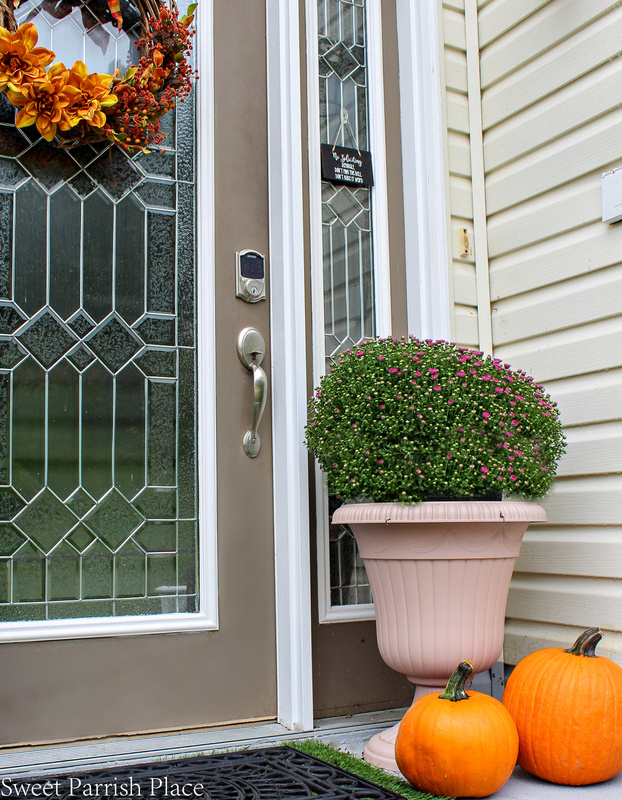 It also senses the slightest vibrations or movement of the door and immediately alerts you with an audible alarm, giving you additional protection from break-ins at the door. It will also alert you if someone attempts the wrong code. We love that you can use Amazon Alexa to make your lock voice controlled. 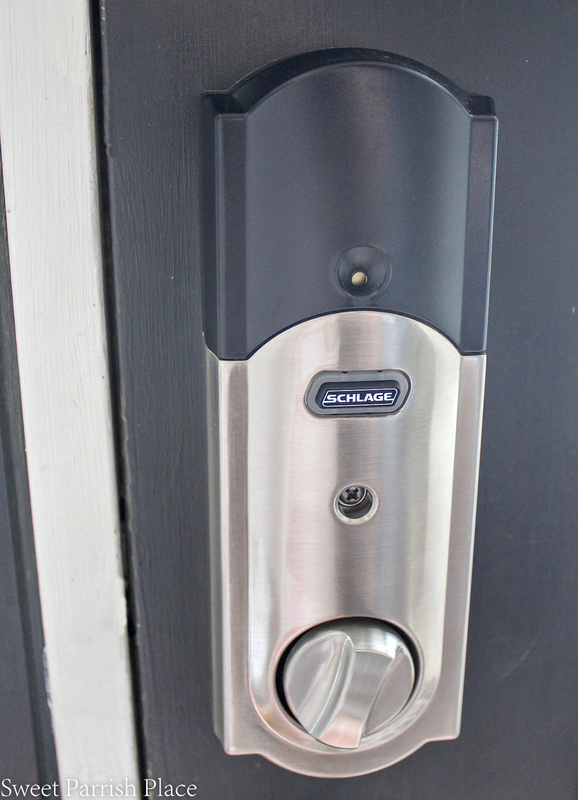 When used with your smart home automation hub, Alexa connects to your Schlage lock so you can lock your door and check whether or not you locked up before you went to bed just by asking. 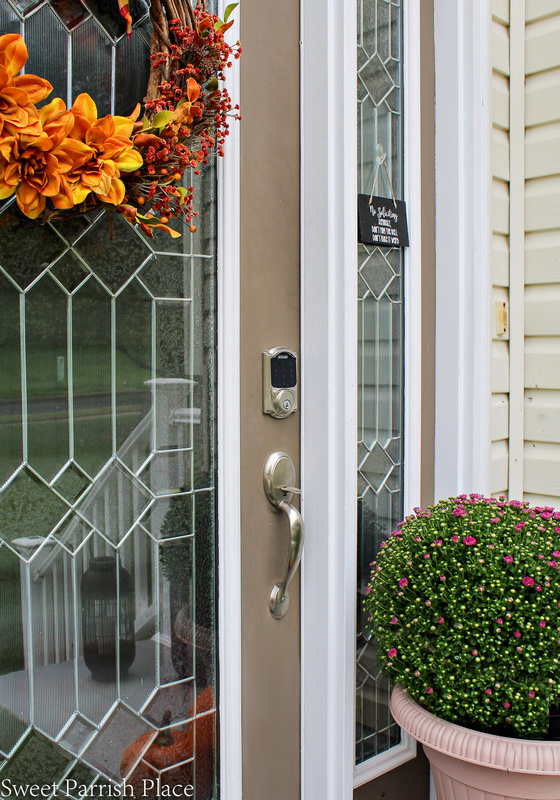 One of the features we love the most is that we can now lock our door from the outside with just the press of a button. 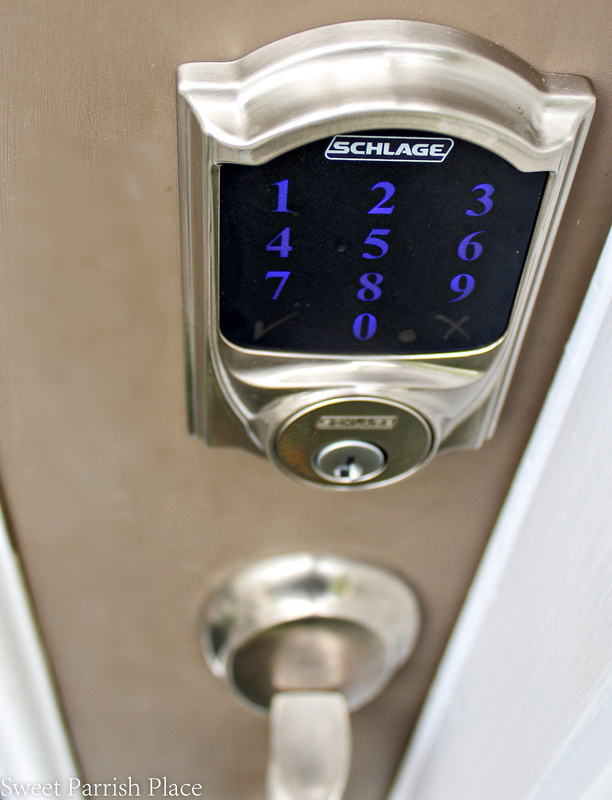 All you do is press the Schlage word at the top of the lock, and your front door is now locked. That works so perfectly for us, because my husband is a runner, so now he doesn’t have to carry keys with him when he goes for a run. Let me show you what the lock looks like from the inside, now that you have seen what it looks like from the outside. Our dog, Tyson, likes to perch here by the front door. I find him waiting for me right here every day when I enter through the garage. So it’s only fitting that he posed for this picture for me. But you can see here what the lock looks like. It is more bulky than our old deadbolt, but for the added convenience, this does not bother me in the slightest. 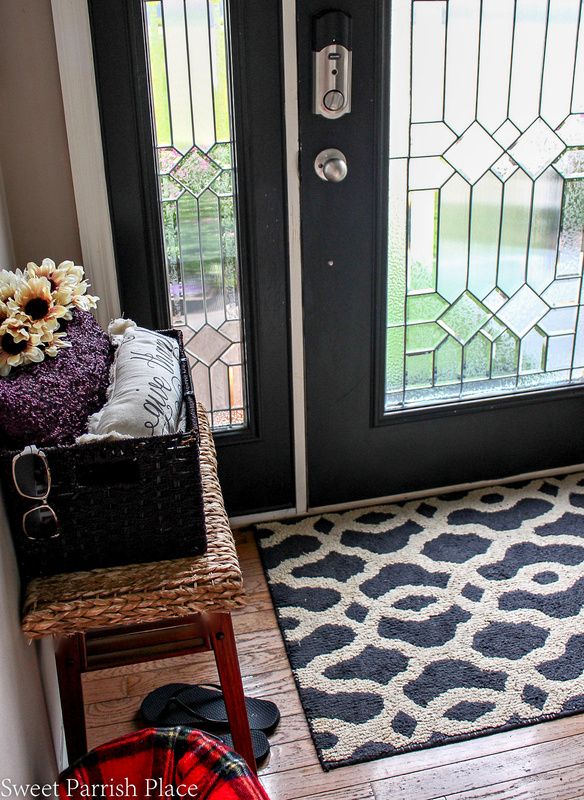 I actually think it looks pretty darn good on my black painted door. My husband had this lock installed in about an hour or so. 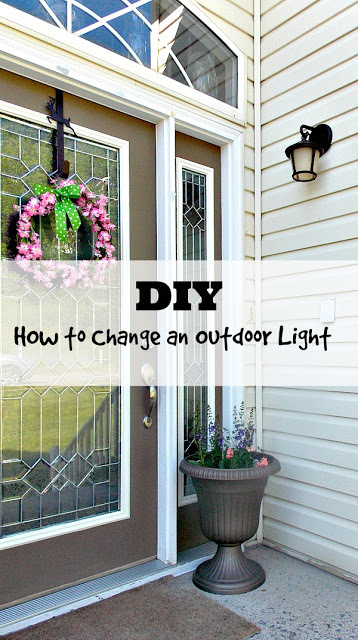 I had to go outside and assist him a couple of times, but he reported to me that it was fairly easy and straightforward to install. 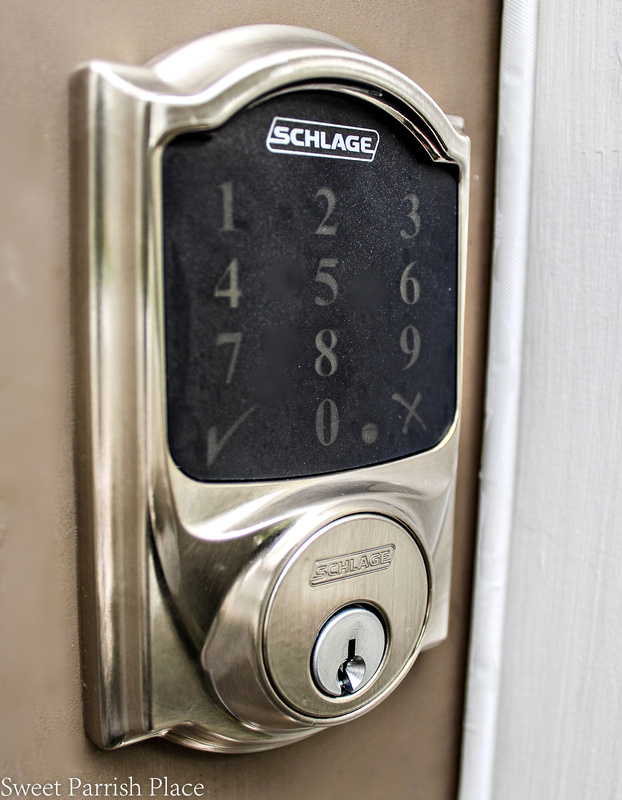 You can set the alarm on this lock by pressing the Schlage button. This does hold batteries, and it will give you an alert when the batteries are low. Another reason why we are glad that this lock has a key. So far, we are very happy with our choice in smart locks. We actually have a friend who has this lock and encouraged us to go with this one as well. 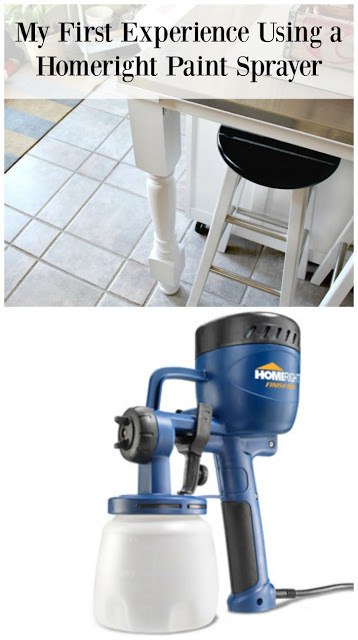 It helped boost our confidence because he told us it was easy to install and that he and his family really liked it. We have been using this lock now for a couple of weeks, with no problems whatsoever. So we consider this a successful update! By the way, I was thinking if there is something like a fingerprint recognition technology option instead of inputting a pin for this smart lock? Hi Jessica! 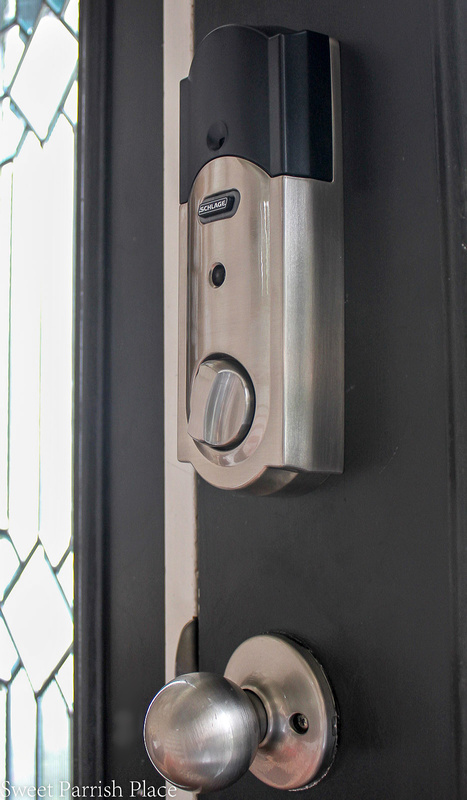 NOt for this particular smart lock, but there are several on the market, so you might find one that does!